I am director of art education association 'Art of Work'. 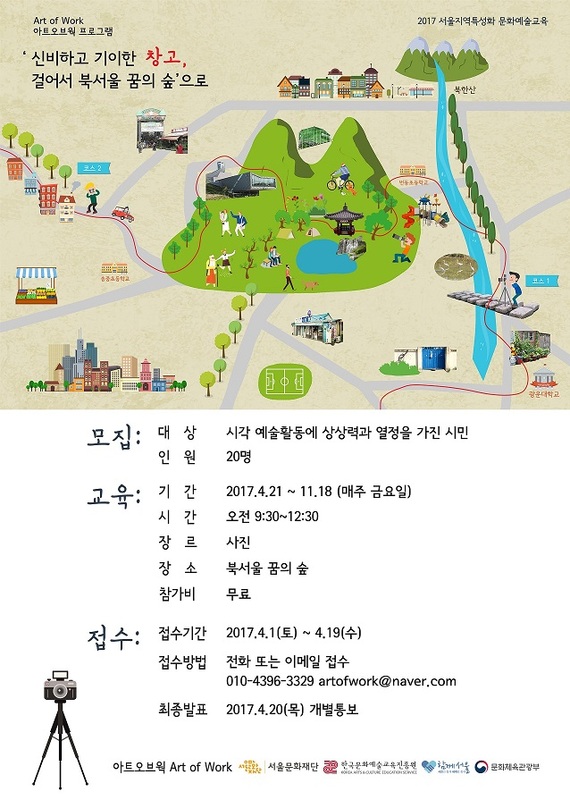 We will start the photography art program which is 'Walking to the BukSeoul Dream Forest'. Also the tuition fee is free. If you can speak Korean, and love photography, call me for the program.